Planet 1107 » Spotie is now in Public Beta! Spotie, the location service for which we’ve helped with their iPhone application, is now in public beta and you can sign up and start using it! 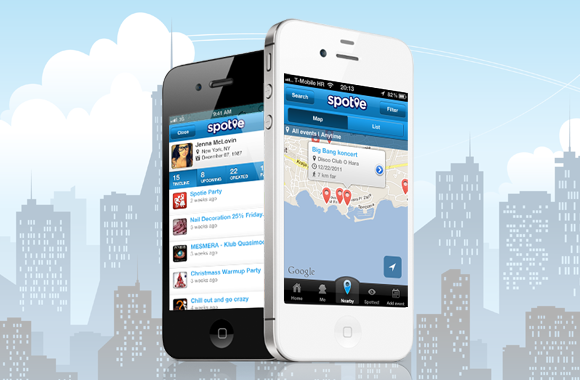 As you’ve might heard, Spotie isn’t a check-in service as you’ve might think.With Spotie you can get information on current events in your town, where’s the party and what’s the mood there. So, instead of having a location venue and several months old tips (or not having tips at all), with Spotie you’ll always have the freshest information on the night (or day) life in your area. We tested it out pretty thoroughly (heck, we built it ;)) but if you find any bugs, feel free to submit them. Now head over to Spotie, sign up and download the app from the AppStore!